Both Eastern and Western gorillas are highly threatened by illegal poaching for the bushmeat trade. Habitat loss and degradation due to deforestation and agricultural expansion also threaten gorillas by fragmenting their populations. 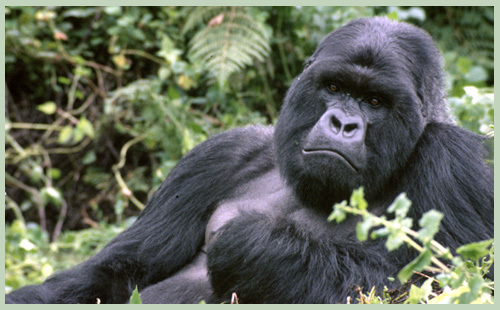 Highly infectious diseases like the Ebola virus also pose critical threats to gorillas. Funds from your adoption will support the protection and conservation of wild gorillas in Kahuzi-Biega National Park in the Democratic Republic of Congo (DRC). Your adoption will also support our campaign against the illegal trade in bushmeat and the live trade in infant apes. 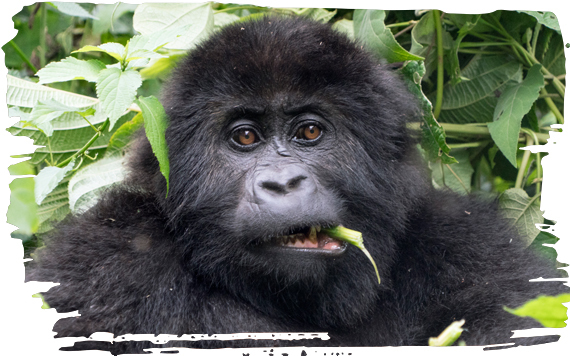 You can help provide care and protection for gorillas by adopting Mugaruka & Chimanuka below. Mugaruka and Chimanuka are wild silverback gorillas living in DRC. Sadly, both these gorillas are threatened by illegal poaching and the bushmeat trade. Help us safeguard their future and protect them from poachers.